The US Consulate sponsors "Palestinian Hip-Hop". Gravity-defying Palestinian Hip Hop was on full display at the Dar Al Fanoun wa Al-Turath theater in Askar Refugee Camp, when visited by Consulate General staff yesterday. Last year the Consulate General worked with Darat Al-Funoun to organize a hip hop camp for West Bank and Gaza kids. "a one-day coordination session to analyze current efforts... for ... a strong Palestinian participation in Global Entrepreneurship Week..."
As she spoke, Ms. Kardashian snacked on some matzo and butter that had been laid out on the table adjacent to a bread basket for those attendees who were keeping the Passover. Ms. Kardashian said that one of her favorite foods is matzo brei, which is made with broken matzo softened in water or milk and pan-fried with eggs. She gets the dish on a regular basis at Nate 'n Al's in Beverly Hills, Calif., where she eats weekly. "I like it better than the regular matzo crackers," she said. Hundreds of Jewish settlers stormed the ancient Solomon Pools located between Artas and Al-Khader village, south of Bethlehem, on Sunday. 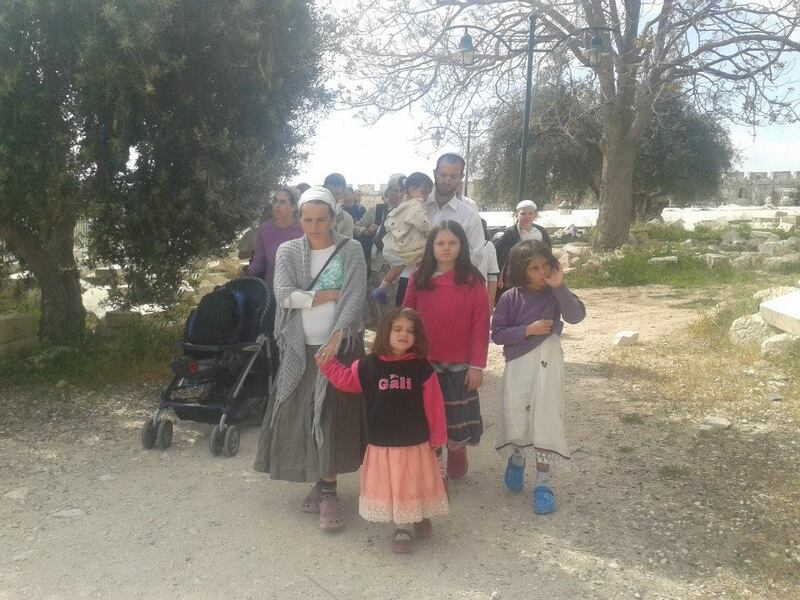 Eyewitnesses told the PIC reporter that hundreds of settlers from Etzion settlement arrived to the site on foot under heavy Israeli military protection. The pools, which were built by the Ottoman Sultan Suleiman the Magnificent are*, are under the jurisdiction of the Palestinian Authority according to the Oslo accords. An ancient set of pools that supplied the Jewish capital with drinking water for centuries is to be the centerpiece of a guided tour by the Kfar Etzion Field School this Sunday. Solomon’s Pools are comprised of five monumental Herodian pools and an aqueduct which fed water to the city of Jerusalem for nearly 2,000 years. Located in south-central Judea about 5 kilometers (3.1 mi) southwest of Bethlehem, the pools are full this year, due to the abundant winter rains. a. Israeli military forces and Israeli civilians may continue to use roads freely within the West Bank and the Gaza Strip. b. On the main roads that are jointly patrolled, vehicles bearing Israeli license plates shall not be stopped except for identification, which shall be conducted by a Joint Patrol, pursuant to the provisions of Article III of this Annex. The Israeli side of such a patrol may carry out identity and vehicle documentation checks. In the event that a vehicle bearing a license plate issued by either the Council or the Civil Administration is stopped, the Palestinian side of the Joint Patrol may carry out identity and vehicle documentation checks. station or post for the purpose of identification checks of the above-mentioned documentation. d. Israelis shall under no circumstances be apprehended or placed in custody or prison by Palestinian authorities. However, where an Israeli is suspected of having committed an offense, he or she may be detained in place by the Palestinian Police while ensuring his or her protection, in accordance with the provisions of Annex IV, until the arrival of a Joint Patrol, called immediately by the Palestinian Police, or of other Israeli representatives dispatched by the relevant DCO. Israel's army will accompany settlers into the West Bank city of Bethlehem on Sunday, Israeli media reported Thursday. The Israeli military has approved a request by a school in the Gush Etzion settlement bloc to visit Solomon's Pools, Maariv reported. "Thanks to the cooperation with the army we will return to a land of ancestors that was given to the Palestinians after the Oslo accords," the school's principal Yaron Rosenthal said. Israel has only rarely approved settler visits to the pools since 1995, when the Palestinian Authority took control of the area. Solomon's Pools are located in Area A -- the 17 percent of the West Bank under the full control of the Palestinian Authority. 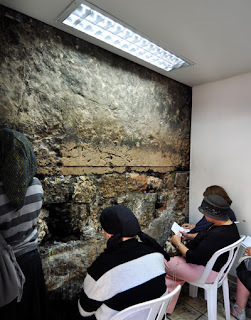 ...recent evidence suggests that the lowest pool was probably constructed during the Maccabean period at the time of the reconstruction of the temple at Jerusalem (circa 2 BCE). A second phase occurred when ancient Roman Pontius Pilate built 39 kilometres (24 mi) of aqueduct from the collection pools at Arrub. 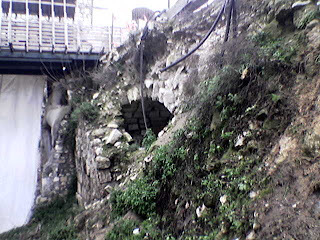 Roman engineering under Herod the Great in connection with his improvements to the Second Temple created the underground tunnel feeding the upper pool. In 1902, a new 16 km pipeline was inaugurated to mark the 60th birthday of the Ottoman sultan Abdul Hamid II. The pipeline went from Solomon's Pools to Jerusalem. Dov Hanin, a Parliament member from the far-left Hadash Party, called the new government “dangerous,” and Zehava Galon of the left-leaning Meretz said the “extreme right and its settlement enterprise” were the big winners. The Hadash Party is the Israel Communist party. Hadash...lit. The Democratic Front for Peace and Equality)...is a Jewish and Arab socialist front of organizations that runs for the Israeli parliament...The party was formed on 15 March 1977 when the Rakah and Non-Partisans parliamentary group changed its name to Hadash in preparation for the 1977 elections. The non-partisans included some members of the Black Panthers (several others joined the Left Camp of Israel) and other left-wing non-communist groups. 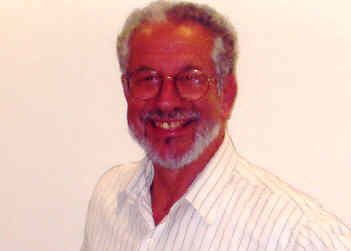 Within the Hadash movement, Rakah (which was renamed Maki, a Hebrew acronym for Israeli Communist Party, in 1989) has retained its independent status. Meretz does not "lean" left. It is as far left as you can get in Israel, without being ... communist or anarchist. On the other hand, even though "extreme right" is bracketed, being a direct quotation, that adverbial description is a bit .. extreme, no? Agents from special police units of the Zionist occupation, arrested this morning a number of worshipers and students in the courtyards of Al Aqsa Mosque, and a number of others in clashes between Israeli police and worshipers after more than 250 settlers stormed the al-Aqsa Mosque through the Mughrabi Gate, accompanied by escorts...Hamza Nasser Malhas...and a young man from a family of Abbasi, were detained...students from schools of old Jerusalem stood on masse and recited the Quran aloud in the courtyards of the holy mosque; prompting elements special units police occupation to intervene to suppress them and prevent them from continuing to do so, and the matter elevated to clashes and confrontations with hands during which the arrest of several students and worshipers and wounding several others. The witness said that the settlers carried out today what it's like invasion of the Al-Aqsa Mosque at the height of celebrations Passover, through in straight sets, and tried a number of settlers perform rituals and rites of Talmudic in the courtyards of the mosque, which provoked the feelings of the worshipers...there were shouts magnification and reading the Koran aloud but Israeli police attacked them randomly hitting a number of them and arrested a number of other, in an attempt to suppress them and keep them away from the area and arrested a number of them. Those "confrontations" and "clashes" elevate often. And in January 1986, when I was there. 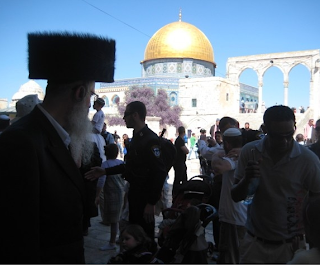 The video of how Muslims greet Jewish tourists on Temple Mount. Now it seems that because there are no public toilets for visitors, a 4-year old was taken to a secluded spot to urinate but was spotted by Muslims who became enraged. And even Jordan gets involved. 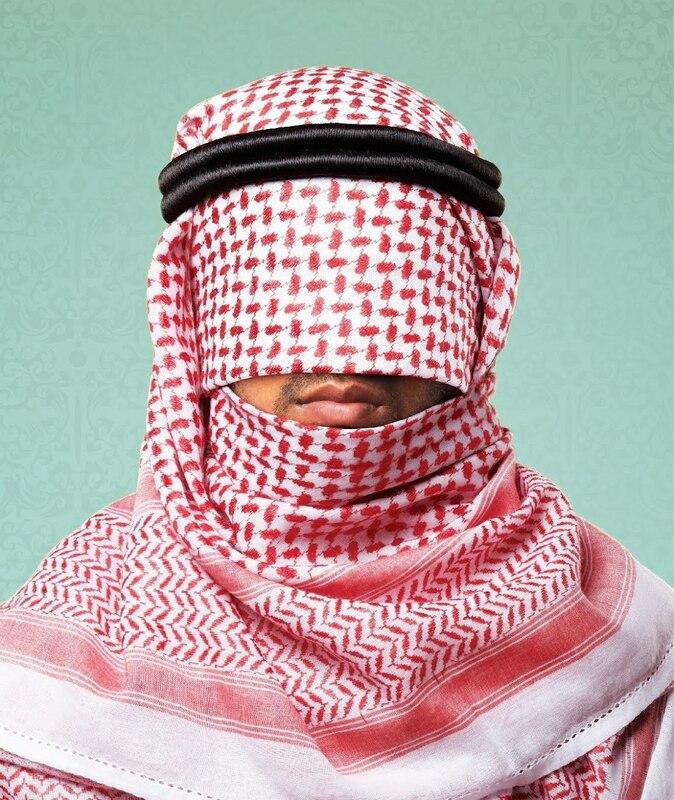 أن مجموعة من الشباب الإسرائيلى وضعوا مجموعة من الحيوانات بداخل باحة المسجد، خلال أداء اليهود صلاتهم أمام حائط البراق "المبكى"، لكن الشرطة الإسرائيلية تمكنت من السيطرة عليهم وقامت بطرد هذه الحيوانات إلى خارج المسجد. The newspaper pointed out that a group of young Israelis and put a group of animals inside the courtyard of the mosque, during the performance of Jewish prayer in front of the Wailing Wall "Wailing", but Israeli police managed to control them and expelled these animals out of the mosque. That wouldn't be religious hatred incitement? The news site is Egyptian. Not only weren't those animals brought to the Western Wall Plaza, but pigs and donkeys are not kosher nor can be used for a sacrifice. As for any goats, the original story concerned a sheep. 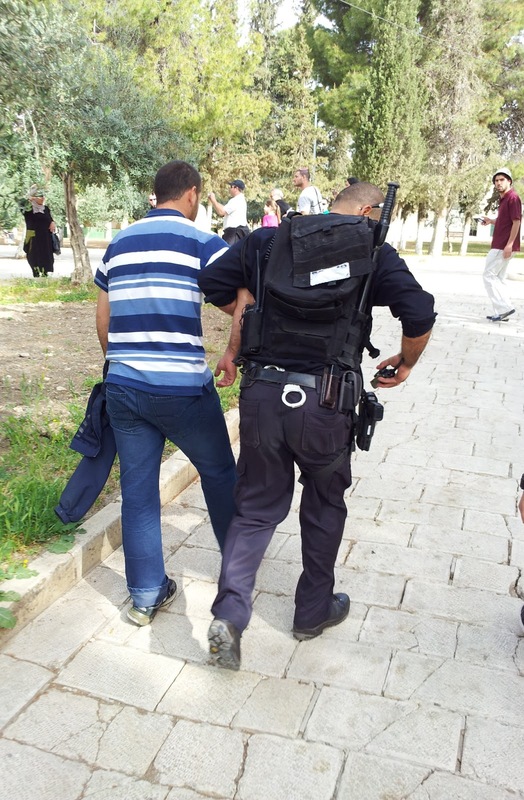 And it was arrested before even entering the Old City walls. Where Is Peace To Be Made? Palestinian premier Ismail Haneyya reiterated on the occasion of the land day that the Palestinian people would never give up or compromise on their land, stressing that the land is the core of the conflict with the Israeli occupation. “The revolution of the land day in 1976 was the first uprising carried out by the Palestinian people in the 1948 occupied lands against the occupation and its land theft policies...“We emphasize that the land of Palestine is Arab and Islamic land that can never be waived, neglected or compromised on, and that the land day is one of the momentous landmarks in the history of our struggle and resistance for the land of Palestine and the holy sites,” he added. ...about four dozen [Israelis]...made an unusual recent pilgrimage to Ramallah, one of several Palestinian cities that have been officially off-limits to most Israeli citizens for more than a decade...organized by the Israel Palestine Center for Research and Information [from their FB: IPCRI - Israel Palestine Center for Research and Information shared a link.Wednesday Our Breaking Down Walls tour is featured in the New York Times! ]...contacts between the two peoples have dwindled. Fewer Palestinians work inside Israel. Dialogue groups have broken up. Camps connecting children are harder to find. The communities increasingly function as if in alternate universes. ...For $50 each, the visitors got the sales pitch at Rawabi; a photo op at Mr. Arafat’s tomb; time in a new museum honoring the poet Mahmoud Darwish; lunch at a local hummuseria; a stop at a troubled neighborhood surrounded by the separation barrier; and a bus ride through bustling Manara Square, led and followed by Palestinian security vehicles...What they did not get is to meet Palestinians. At Samer Restaurant, the group was shuttled upstairs to waiting plates of falafel, pickles and spreads. The regulars stayed downstairs, and the men bringing refills and pouring thimbles of coffee did not engage them. When David Groman, 75, asked if he might go into some nearby shops — “I just wanted to look at the goods. I wanted to see the price levels, see how people live,” he said later — he was told no way...At the Darwish museum, Smadar Tsaban, 59, thought it “a pity” that the Hebrew translations of the poet’s work were not among the eight languages on display. ...Ms. Orlan of the Israel Palestine Center acknowledged the limitations of viewing a society mainly through bus windows. But, she said, it is better than not going at all...Most Palestinians live in Area A, where Israelis have not been allowed to go since October 2000, after the mob killing of two reserve soldiers at a Ramallah police station. 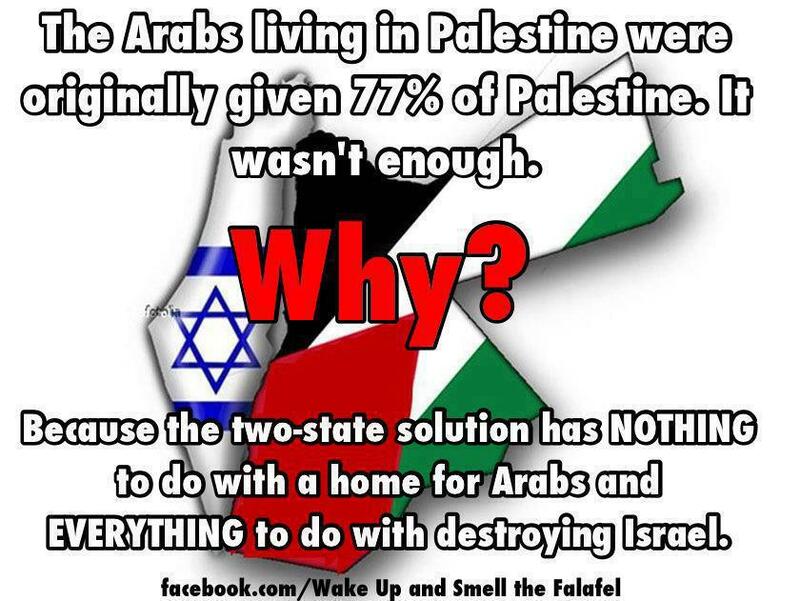 It comprises 13 percent of the West Bank and is under full Palestinian control. Can we organize a bus tour for Jodi to the Jewish communities in Areas B and C? Oh and that no-go zone. That wouldn't be a form of apartheid, would it? 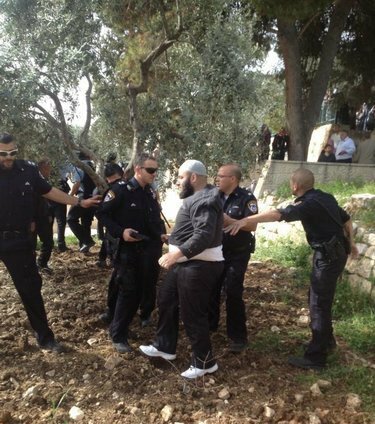 Scores of Israeli settlers stormed and desecrated the Al-Aqsa Mosque compound on Thursday morning, guarded and accompanied by Israeli forces. 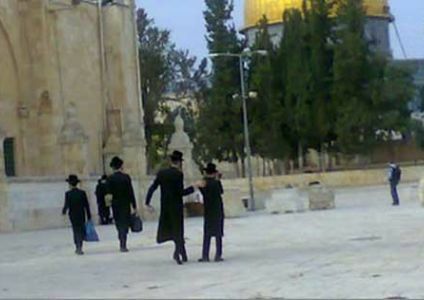 Local sources said that over 90 settlers stormed Al-Aqsa Mosque compound, and started provoking the Muslim worshipers who tried to prevent the Israelis from entering the Mosque. 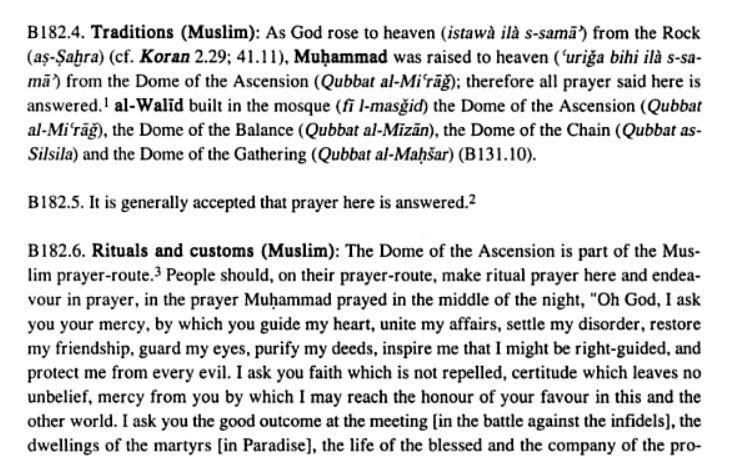 To be clear, no Jew enters a mosque, or any other structure on these visits. And it is out holy site, too. If They Can't Get The Economy Right, Why Trust Them for Peace? But the path that led to Cyprus’s current crisis — big banks bereft of money, a government in disarray and citizens filled with angry despair — leads back, at least in part, to a fateful decision made 17 months ago by the same guardians of financial discipline that now demand that Cyprus shape up. That decision, like the onerous bailout package for Cyprus announced early Monday, was sealed in Brussels in secretive emergency sessions in the dead of night in late October 2011. That was when the European Union, then struggling to contain a debt crisis in Greece, effectively planted a time bomb that would blow a big hole in Cyprus’s banking system — and set off a chain reaction of unintended and ever escalating ugly consequences. “It was 3 o’clock in the morning,” recalled Kikis Kazamias, Cyprus’s finance minister at the time. “I was not happy. Nobody was happy, but what could we do?” ...“We Europeans showed tonight that we reached the right conclusions,” Chancellor Angela Merkelof Germany announced at the time. That's one reason not to trust those who interfere from afar. Nearly two dozen European diplomats have urged the EU to intensify efforts to block Israeli settlement in and near Jerusalem, saying such construction on occupied lands is the "single biggest threat" to a Mideast peace deal, according to an internal report Wednesday. The diplomats also said the EU must ensure that aid to Israel and preferential trade agreements don't inadvertently benefit settlements, according to the report obtained by The Associated Press. They recommended that the EU "prevent, discourage and raise awareness" of direct investments by European companies in settlements, but did not elaborate. While the recommendations are non-binding, the report, endorsed by 22 heads of mission posted in east Jerusalem and the West Bank, reflects Israel's growing international isolation over the settlement issue. No, not here in Shiloh, Binyamin, Israel. A Shiloh teen is listed as an endangered runaway on the National Center for Missing and Exploited Children website. An endangered runaway is someone who left voluntarily, but is not able of taking care of themselves, according to the website. Thanks to David Gerstman, I now have a reliable source for my memory of what Hanan Ashrawi said at the Madrid Conference I attended when I heard her speak to the media. Whatever else Ashrawi is, one thing she is not is an expert in history. Caryle Murphy of the Washington Post wrote a fawning profile of Ashrawi, The Practiced Palestinian, in November 1991. As spokeswoman for the Palestinian delegation at the Middle East peace conference here, the 45-year-old Ashrawi has been arguing that case with a composure, conciseness and clarity long missing in the bitter Palestinian-Israeli dispute. In the process, she has left many of the outworn cliches and taboos surrounding this conflict cut to ribbons. Take, for example, the man who rose at Friday's press conference to confront her. A representative of an American Christian broadcasting outlet, he said he "didn't understand" how Ashrawi could ask Israel "to exchange land for peace," because "when Judea and Samaria were in the hands of the Arab world, Israel was attacked three times." "First of all, I find your reference to 'Judea and Samaria' a statement of extreme bias, and rather offensive," Ashrawi replied, homing in on his use of the biblical names for the occupied West Bank that echoes the Israeli government's religion-based claim to the land where Ashrawi lives and where the Palestinians hope someday to have an independent state. "I am a Palestinian Christian, and I know what Christianity is. I am a descendant of the first Christians in the world, and Jesus Christ was born in my country, in my land. Bethlehem is a Palestinian town. So I will not accept this one-upmanship on Christianity. Nobody has the monopoly." After dismissing the man's challenge with a deft mini-dissertation, she ended with: "Are there any serious questions?" During Passover, the Jewish population of Israel has passed the symbolic 6 million mark – the same number of Jews who were believed to have been killed during the Nazi Holocaust – while the country’s total population is now 8 million. Israel now has the world’s largest community of Jews, replacing the U.S. (5.5 million, with 2 million in New York City alone), France (500,000, mostly in Paris) and Canada (380,000, primarily in Toronto). Britain has 290,000 Jews, most of them concentrated in London. 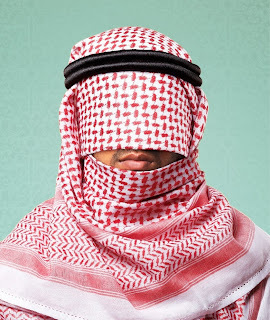 ...peace is going nowhere because Abbas has shown Obama over the past four years that he has no interest in negotiating. Obama’s message to Abbas was blunt: Come to the table without preconditions, i.e., without the excuse of demanding a settlement freeze first. Obama himself had contributed to this impasse when he imposed that precondition — for the first time ever in the history of Arab-Israeli negotiations — four years ago. And when Israel responded with an equally unprecedented 10-month settlement freeze, Abbas didn’t show up to talk until more than nine months in — then walked out, never to return. Finally. Presidential validation of the screamingly obvious truism: Any peace agreement will produce a Palestinian state with not a single Israeli settlement remaining on its territory. Any settlement on the Palestinian side of whatever border is agreed upon will be demolished. Thus, any peace that reconciles Palestinian statehood with Israeli security automatically resolves the settlement issue. It disappears. Yes, Obama offered the ritual incantations about settlements being unhelpful. Nothing new here. He could have called them illegal or illegitimate. It wouldn’t have mattered — because Obama officially declared them irrelevant. Exposing settlements as a mere excuse for the Palestinian refusal to negotiate — that was the news, widely overlooked, coming out of Obama’s trip. It was a breakthrough. MK Moshe Feiglin, Deputy Knesset Speaker, was turned away. 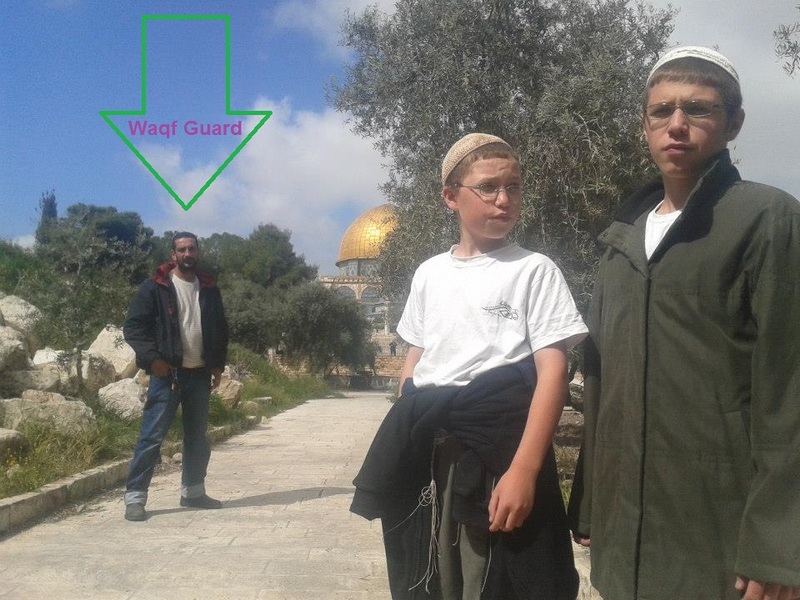 JERUSALEM, March 28, 2013 (WAFA) – An increase in visits by Jewish extremists on Thursday to al-Aqsa Mosque, one of Islam’s holiest sites, in Jerusalem’s Old City raised concern by Muslims and tension with worshipers, said witnesses. 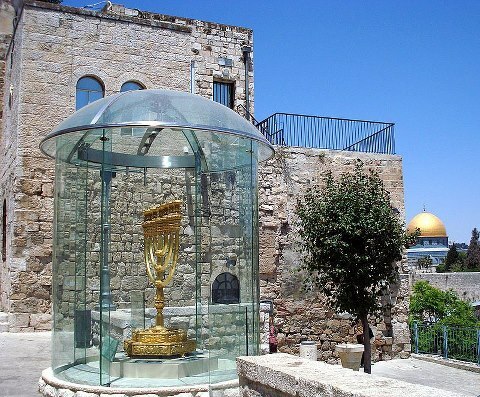 According to Minister Ariel, the reason the Temple Mount was not included in the Government Coalition Agreement was because the Likud-Yisrael Beiteinu reps simply refused to relate to the issue completely. He succeeded in entering because he did not identify himself as a Minister but simply handed over his ID card and passed through the security check. Scores of Jewish worshipers entered the Al-Aqsa Mosque compound on Thursday, accompanied by Israeli forces, the director of Islamic endowments in Jerusalem said. Over 170 Israeli rightists entered the courtyards of the mosque through the Moroccan Gate for the Jewish holiday of Passover, said Sheikh Azzam al-Khatib. ...Palestinian negotiator Saeb Erekat on Thursday condemned recent Israeli "raids" of the compound. "We've witnessed this before, and we know what the consequences are. The entering of Al-Aqsa compound by a settler official and Knesset Member like Mr. Feiglin, in coordination with Israeli Occupation Forces, is a violation of the sanctity of the place as well as a direct provocation against Palestine, the Arab- and Muslim world," Erekat said in a statement. if Jewish residency locations are treated by Arabs in an apartheid fashion (in that they will not allow Jews to live in their new "Palestine" state as, for example, the new Rawabi town advertises mosques & churches but no synagogues), shall we then refer to the Arabs in Israel as "settlers", their communities as "settlements" and demand quid pro quo? That was a rhetorical question. But consider the moral problems: Dismantlement for dismantlement? Expulsion for expulsion? Do we forget or ignore that Jordan was originally part of "Palestine"? How illogical and non-historical do we go? Or do we look at the reality and seek arrangements, even if for a start, like Jordanian-linked condominium or such and see how we can progress? Or do we blithely blind ourselves to Hamastan in Gaza and Fatahland in Judea and Samaria aka the West Bank (the only river bank that extends 20 miles into the hill country), which oppresses its own population and terrorizes Israel and think a two-state solution which the Arabs rejected in 1947 and never accepted unless all the refugees "returned", Jerusalem becomes a capital, etc., etc., etc., all moves dedicated to assure, eventually,, Israel's disappearance. 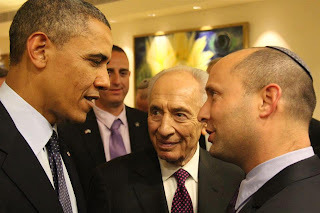 ...One point in U.S. President Barack Obama's speech on Thursday was crucial: He stated that "the Palestinians must recognize that Israel will be a Jewish state." That is the concept behind the two-state solution, which focuses on a Palestinian-Muslim recognition of the Jewish people's right to their land, or at least a part of it. ...Obama urged us to "make history," but history over the past century has taught us differently. You cannot make peace if the other side is reluctant to do so, and you cannot discuss compromise if the other side won't hear of it — despite your meeting, Mr. President, with young Palestinians who "want the same things" Israelis do. ...The Left knows how to market attractive romantic notions. After all, who wouldn’t prefer to make love rather than war? My comment has been published. 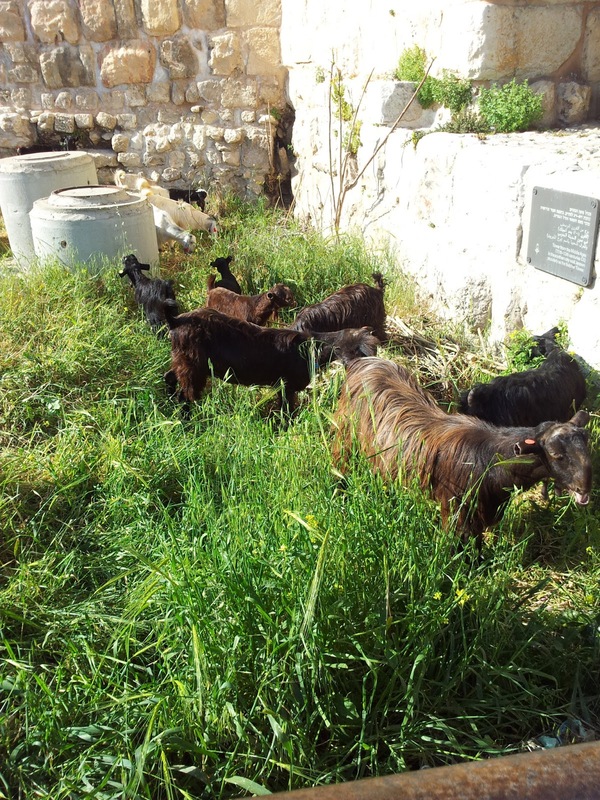 The police prevented a 'Jewish' lamb from being brought into the Temple Mount. As I have blogged previously, one of the methods the Waqf employs to initiate public disturbances on the Temple Mount, and thereby demand that the police prevent Jews from entering - since the Jews are obviously the cause of any disturbance - is to have women sit in a strategic place to block any access. If the plan "works", a Quran will "fall" or a woman will be "pushed" and headlines will be created. Jewish extremists broke into the Al-Aqsa Mosque today, accompanied by heavy escorts of special units, while Israeli police imposed positioned at the outer gates of the mosque, strict procedures for entering the residents of Jerusalem to him...more than ninety settlers stormed Al-Aqsa so far, and that severe strain prevails in the courtyards of Al-Aqsa Mosque and the external perimeter gates by Israeli police practices. 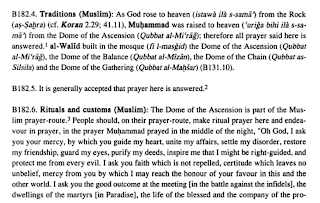 ...extremist Jewish elements has roaming in the courtyards and the holy mosque facilities, especially in the area known as 'Harash' which lies between the Lions Gate and Marwani mosque, where they tried to perform their religious rites. ...settlers resumed today their penetration of the old town and its streets toward the courtyard of the Wailing Wall to practice their religion in the courtyard of the Wailing Wall, as well as organizing marches emanating from the courtyard of the Buraq to the old town and threaten Al-Aqsa Mosque باقتحامات in response to invitations by senior 'rabbis' who called for the settlers to organize marches and rise to the al-Aqsa mosque to make offerings on the occasion of the Passover. Different site but same story. I guess we have different dreams. But Uri Ariel, the new housing minister from Jewish Home, is likely to bring those projects – and many more – back on the agenda...In an interview with the pro-settler weekly Eretz Yisrael Shelanu (Our Land Israel), he invoked the Messianic theology of the religious settler movement, saying his appointment marks "another stage on the path to redemption." ...Ariel is a "man who gets things done," says Gil Hoffman, the political reporter for The Jerusalem Post. That said, Mr. Hoffman insists that Ariel is a pragmatist and will seek to maintain the pace of building under previous governments rather than a provocative building surge. The US is hoping that Obama's positive first trip will reinvigorate peace efforts, though most settlers are not worried. They see the composition of the new Israeli cabinet as a reassurance that Israeli policy will move away from peace negotiations. Yisrael Meidad Medad a resident of the settlement of Shilo, says the new government could normalize Israeli perceptions of the setters; many nonsettler Israelis are generally not enthusiastic about the settlements and believe that many should be returned to the Palestinians for peace. If attitudes changed, Israel could be headed toward a starkly different vision than that laid out by Obama. "[The new government] might bring us in from the cold," Mr. Meidad Medad says. "We’ve graduated from being cautiously optimistic to looking forward to its ability to consolidate what I think is the latent willingness of Israel’s population to be comfortable with right-wing or nationalist Zionism." AKCAKALE, Turkey (Reuters) - Syrian refugees threw rocks at Turkish military police who fired teargas and water cannon on Wednesday...dozens of protesters threw stones and smashed the windows of a fire truck. Camp residents said young men started the protest after faulty electrics set a tent on fire which injured three brothers aged seven, 18 and 19. A Turkish official said a "commotion" had broken out after the fire, but that the situation was now under control and declined to give further details. Another Turkish official said the fire was not the cause of the incident and that it had been started by residents outraged when guards turned away around 200 Syrians trying to get into the site which is already full, home to 35,000 people and one of the largest in Turkey. Protesters said many people were wounded in the clash, something Turkish officials denied. Does that say something about Arabs? The picture is from 1870. 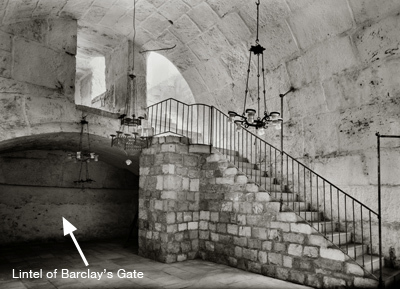 Over the years, the external façade of the Barclay Gate was covered and the ground outside that Temple Mount was raised many meters above the lintel of the gate. 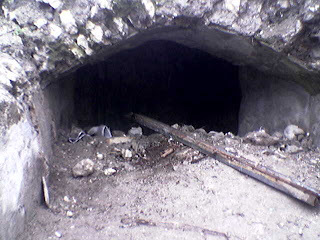 At some stage, probably in the 12th century C.E. (and maybe even later), a new gate called Bab al-Magriba was installed in the Western Wall above the level of the Barclay Gate. This is the Mughrabi Gate, named after the residents of the adjacent neighborhood, who had come to Jerusalem from Morocco in the days of Saladin. This gate is open to this day and is the only entrance to the Temple Mount for non-Muslims. Beginning in the 19th century, European and American researchers began to investigate the Temple Mount and its environs. Those investigations uncovered, in addition to the Barclay Gate, the remains of Robinson’s Arch and Wilson’s Arch, named for the researchers who first discovered them. 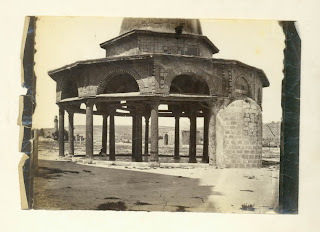 Other well-known researchers, like the British Kathleen Kenyon, conducted excavations in areas adjacent to the Temple Mount. 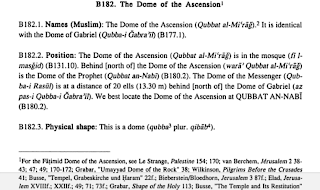 By my reckoning, what the Muslim above is pointing out would be later construction. But if archaeologists can study it, we'll better know. On August 15, 1967, the first Tisha B'Av after the Six-Day War, the chief military chaplain, Rabbi Shlomo Goren, and members of the Chief Rabbinate went through the Mugrabi Gate to the Temple Mount plaza. 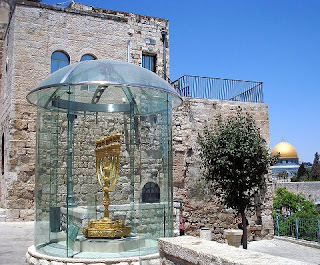 They took with them a shofar (a ram's horn), an ark, and a portable platform from which to read the Torah, and held a Minha afternoon prayer service. 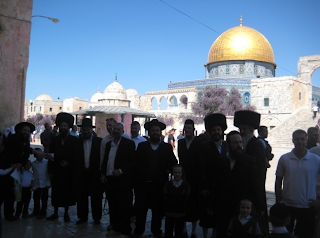 Three days later, on the Sabbath (Shabbat nahamu), Goren planned to bring thousands of Jewish worshippers to the Temple Mount plaza and thereby establish a precedent. His plans and deeds completely contradicted the status quo then-defense minister, Moshe Dayan...The deep tension of those days led to the parallel establishment of another status quo arrangement at the Mugrabi Gate...The only gate to the Temple Mount for which Israel holds the key is the Mugrabi Gate...In response to Rabbi Goren's actions, the members of the Waqf (Muslim Religious Trust) took independent action. They locked the Mugrabi Gate and did not permit members of the military chaplaincy to use it. This was the first time the public heard that the military chaplaincy had an office in the Dar Abu Saud building next to the gate. 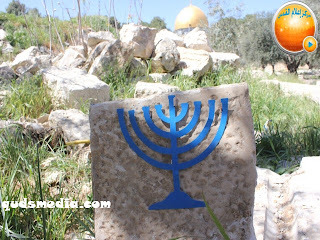 When this fact became common knowledge, Dayan ordered the military chaplaincy be evicted from there immediately, and a military police unit was stationed at the site instead. Nevertheless, this did not end the dispute over the gate. At the end of August 1967, the cabinet held a discussion about arrangements for visits to the Temple Mount. The Waqf charged every Jew or tourist who wanted to visit the Temple Mount a fee, while Arabs could enter without paying. 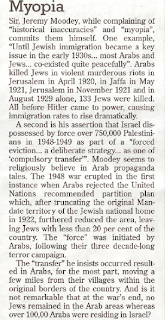 Menachem Begin protested this fact and the cabinet ministers agreed with his view. Obliging Jews to pay, it was decided, was contrary to the principle of free access to the site and, therefore, Israel would henceforth hold this gate and take control of it...The council made it clear that it would not hand over the key. 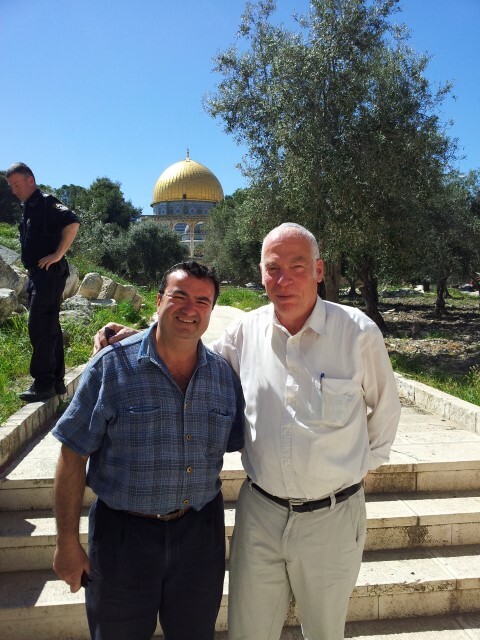 A few days later, Dayan spoke to the chief brass of the Israel Defense Forces and announced that the demand to allow Jews free access to the Temple Mount had been accepted. That very same day, Dayan and the GOC Central Command, Uzi Narkis, visited the Mugrabi Gate. David Farhi, who was Narkis' Arab affairs adviser, took the keys from Tahboub, and the military police were stationed at the entrance to the gate. We've Graduated from "Storming" to "Defiling"
The irrationality and absurdity voiced by groups of the fundamentalist Islamic opposition to any expression of Jewish connection to the Temple Mount is increasing. It is becoming more unreal, incoherent and detached from any reality. There was underground digging - that wasn't. Chemical erosion - that isn't. Trees felled by excavations - that aren't. The verbal violence is increasing. "Storming", et al. 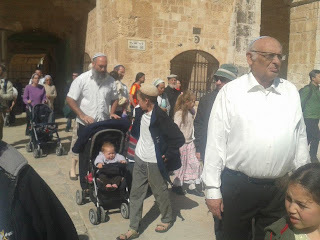 According to the Aqsa foundation for endowment and heritage, the Jewish settlers walked around in the southern and eastern sides of the Mosque's courtyard and some of them performed rituals...Earlier, deputy speaker of the Knesset Moshe Feiglin had invited the Jews to defile the Aqsa Mosque today to celebrate their Passover festival. Is that the "plastic candlestick"? That's on the steps leading down towards the Western Wall Plaza. See how far the Dome of the Rock is in the distance? May this be a true festival of freedom for our people; freedom of living in our Land in security, freedom of knowing who we are as a people, and freedom of being unified as a people free to protect our Land, our Torah and our nation. IDF soldier injured from car hitting him during a chase after an Arab terrorist who was involved in throwing Molotov cockails, IDF soldier injured in his hand from rocks in Tekoa Arab sector, 2 Border Policemen and photographer injured from rocks on the Temple Mount in Jerusalem. 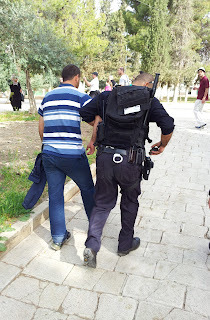 At least 5 improvised grenades thrown at Kever Rachel. 3 Arrab terrorists with improvised weapons were apprehended near MIgdal Oz in Gush Etzion. Tapuach checkpost :Arab terrorist stopped and caught with improvised explosive device and knife in his possession. Gush Etzion Junction Arab terrorist apprehended with improvised weapon and knife in his possession. The Military Court in Judea presented a charge against Adal Mutzfa including amongst other charges attempted murder. From the evidence the accused intended to murder an IDF soldier or an Israeli resident by stabbing with a knife. In order to perpetrate this the accused traveled to Tapuuah Junction with a knife in his pocket. The accused then waited at the junction untileither a IDf soldier or Israeli were close enough for him to stab him. After about an hour a number of civilians and an IDF soldier arrived to the Junction/ the accused attempted to approach them and was pushed back by a Border policeman who also was present at the Junction. The accused did not give up his plan and in order to cover his intentions conversed with local people as if he wished to ravel to Ramallah. After a while the accused moved towards the Israeli civilians and soldier that were present and attempted to stab the soldier to death by slowly taking out the knife from his pocket. When the soldier saw the accused, the accused decided to stab a civilian instead who was standing near him. The accused grabbed the civilian by his head, and with his other hand stabbed him in the stomach. The accused attempted to escape and was apprehended after a short chase. In addition to the charges against him the accused is being held until the end of due process of the law. The conclusions March 21 by the IDF spokesman regarding the helicopter crash which occurred on March 12, 2013 when 2 crew members of the "Cobra", were killed in the crash show a technical problem caused the crash. The commander of the IAF ordered that the investigation continue. In the meanwhile the "Cobra" helicopters are grounded. Jerusalem City workers attacked causing damage to car no injuries near "Gat Hashmanim"
Hevron: Arabs riot and IDF used crowd dispersing methods to stop the attacks. Para. 150 of the decision is not in anyway a legal element of judgment. It states that Zionism is not an intrinsic part of Judaism. 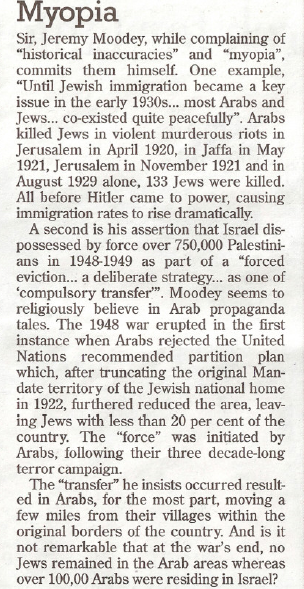 To state that is not only factually wrong (the links between the people of Israel and its homeland was fashioned from the outset) but historically incorrect (the Jewish people always sought - and succeeded - in returning to its land. Zionism is the modern expression of a 3000 year old religious tenet. A Jewish academic who claimed the University and College Union’s policy on Palestine constituted harassment has been rebuked by an employment tribunal for misusing the legal process. 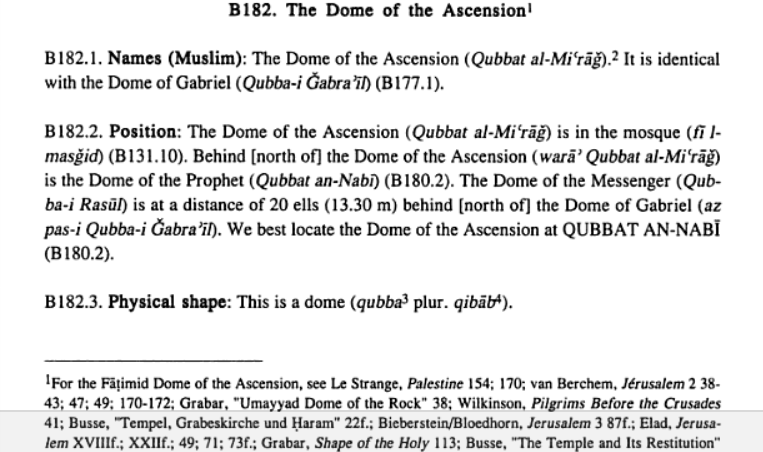 According to this report, on the Temple Mount today, there was an "atmosphere fraught with tension and anger". We All Cleaned For Pesach? I've Got Your Back. Really? So Now We're Preventing the Return of Jesus? Is There An "Historic Palestine"? What Is It About the Hebrew University?